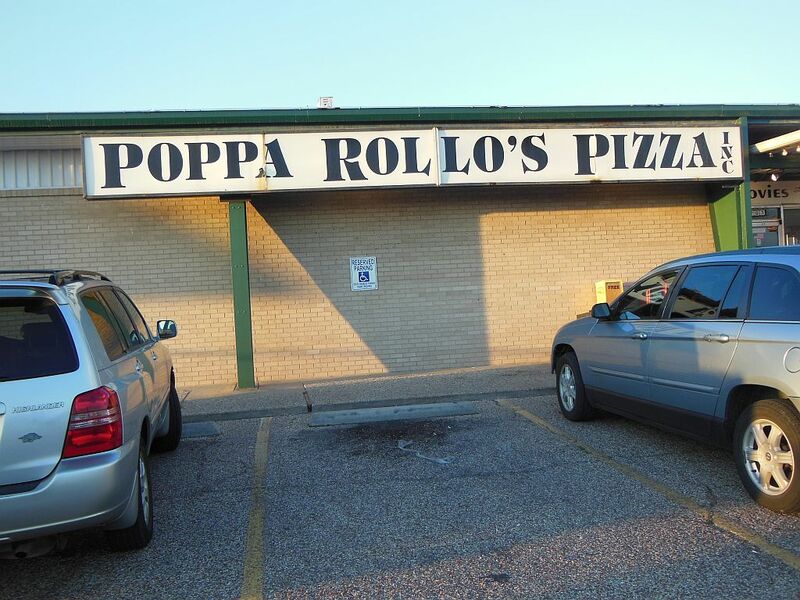 Poppa Rollo’s Pizza in Waco, TX – What Was I Thinking? Blindly following the directions from Google Maps on my iPhone, I found Poppa’s in a rather dated urban retail district off a major four-lane road. Much to my surprise, the joint was jumping for a Tuesday night. I had to park my rental car way in the rear. In doing so, however, I was able to see the vastness of the Poppa’s complex. In addition to their enormous main building, there was another large building that housed both a 150-seat party room and a storage facility. I also spotted a drive-through window as I walked towards the front entrance facing the main road. It was immediately obvious that this place was bent on fun. Out front, there were some small old arcade amusement park rides. Inside off to the left, there was a large game room, and there were several other rooms that were running old movies. (I got to see the Little Rascals while I ate.) Later, while tracking down the rest room, I encountered a room full of locals having some kind of civic meeting. An interesting place indeed! Getting to business, my pizza hopes turned pessimistic once I started to look at the menu. 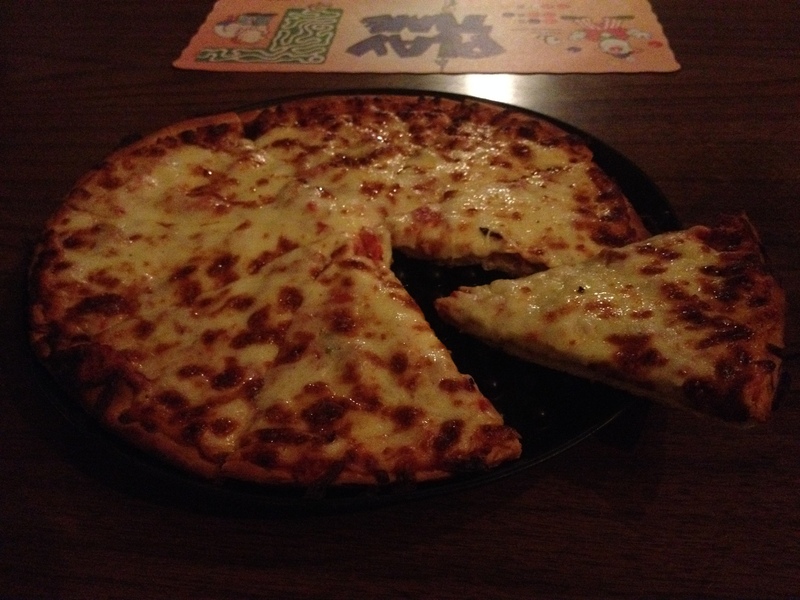 The pizzas leaned toward being untraditional, and I failed to even find a salad that interested me. I ended up ordering a plain medium 10-inch cheese pizza for $11.85, requesting their thin crust. It seemed like it took a long time for my pie to arrive. As soon as it did, I knew that I would be going for dinner somewhere else. My suspicions proved to be correct since it tasted as bad as it looked. The pie was slimy, greasy, and covered with burnt cheese—and way-to-much of it sitting on top of a brittle and burnt, dry, cracker-like crust. As for its taste, the best word I could find to describe it was stale. For the sake of blogdom, I forced myself to eat half of it. Not wanting to be rude, I asked for a box to take the rest home. But immediately on my exit, I just tossed it in the trash can. I guess I should have realized that Waco, Texas would not be a good place for pizza. (That is except of course for the great Nizza Pizza’s Waco location which I forgot all about.) Taking the safer bet, I did manage to get a great Tex-Mex meal before returning to my hotel that night. LOL. I totally missed that you also had a joint in Waco. 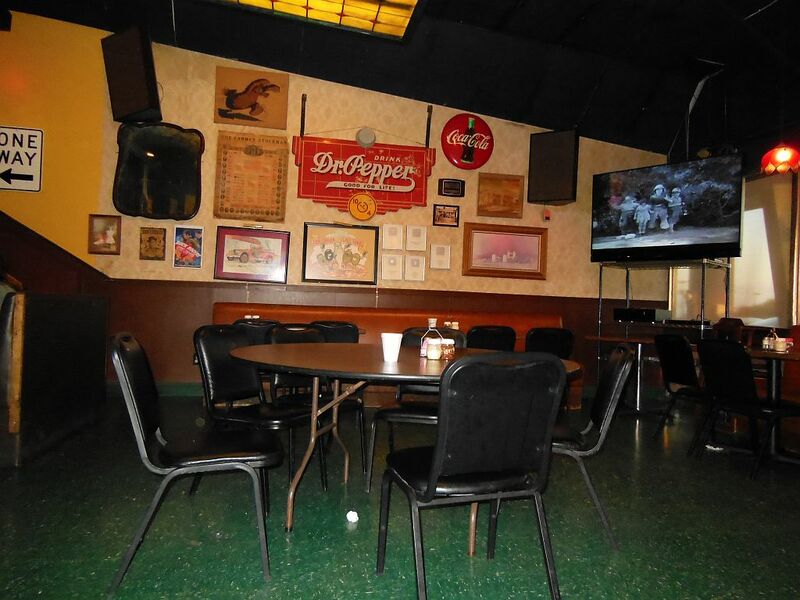 But just before I published this someone posted a comment to my review of the Weatherford location. Go see it if you haven’t. Being transplants from Dallas/Ft Worth to Waco four years ago, we were at a total loss for great pizza. I will never, ever understand the five star reviews of PR. We were beyond thrilled when Nizza came to Waco. It’s a given we are there on Friday nights!